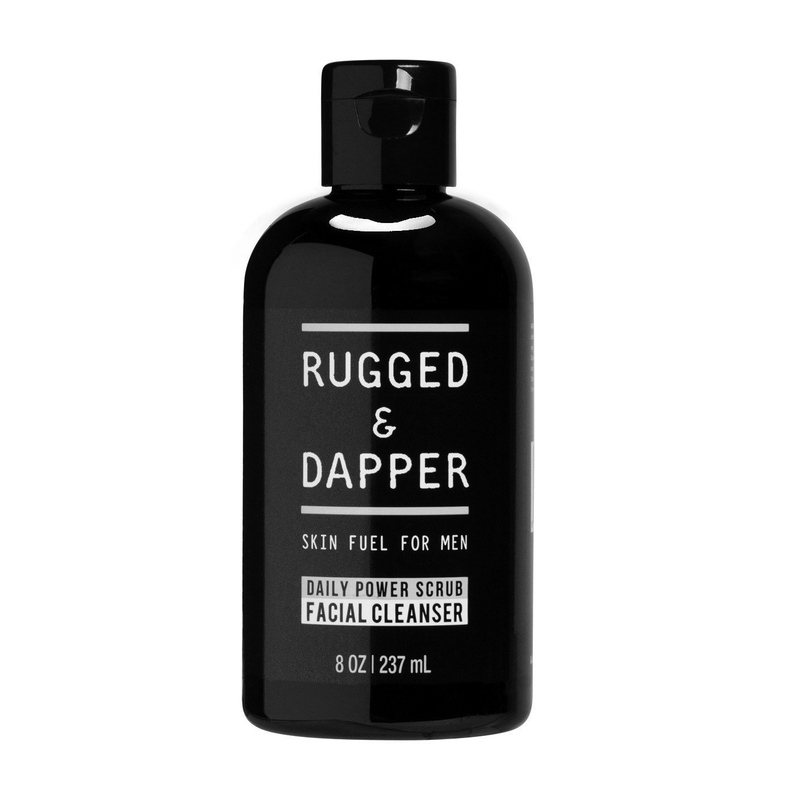 Well, brace yourself for the utter salvation that is Rugged & Dapper’s Daily Power Scrub Facial Cleanser (pick it up for $25 on Amazon ). With a tagline of “skin fuel for men” it’s a formidable face wash, powerful toner, and brilliant exfoliator in one. The exfoliating beads work to buff and scrape away dead, dry skin while also removing excess oil and grime that lurks on your skin’s surface. It’s ideal for all skin types (read: it won’t dry out your skin), but if you have a beard, it’s possible some of the tiny beads could get lost in your whiskers. The product gets its prowess from aloe vera, vitamin C, willow bark, burdock root, and oregano oil, among other soothing and clarifying ingredients. For those concerned, it’s sulfate-free, paraben-free, vegan, and not tested on animals. The slick black branding is eye-catching without trying too hard, and we’re impressed by its mild, refreshing scent. To use, wet your face and hands with warm water and apply a dollop to your face in a circular motion before rinsing off. It’s hard to put your finger on it until you try it, but the feeling it elicits during the post-run muck removal process has now become the favorite part of our nighttime routine. Either we’re getting old, or it’s that damn stellar.